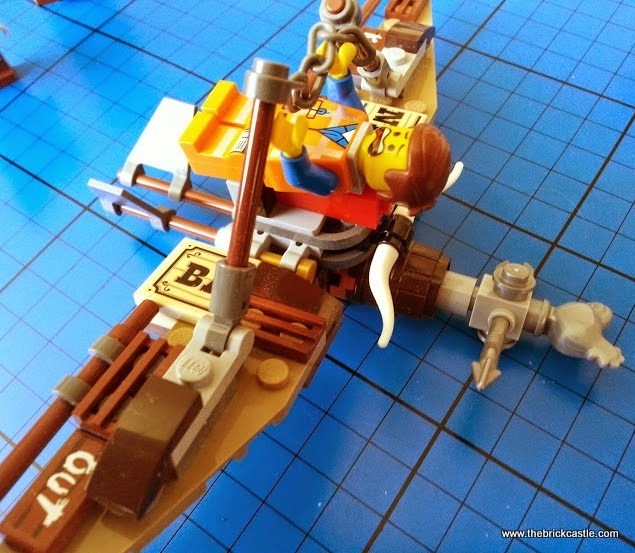 I said when we reviewed MetalBeard's Sea Cow that I'd review some smaller LEGO sets and here I have two of the £11.99 sets recommended for builders aged 6-12. The Melting Room and the Getaway Glider. 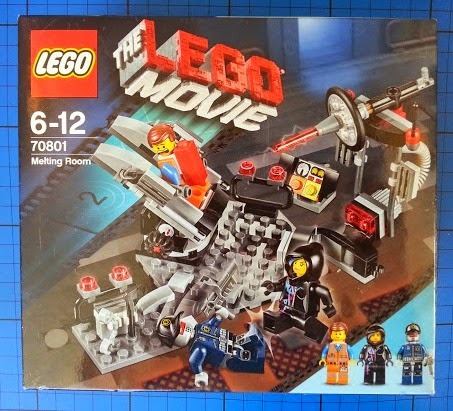 The Melting Room (set #70801) is a 122 piece set. 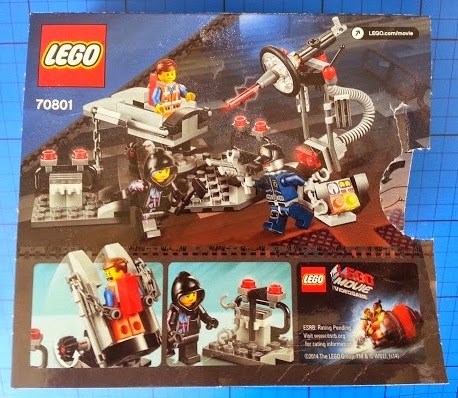 It contains the melting room equipment and 3 great minifigures - Emmet (with Piece of Resistance), Wyldstyle (with hood) and Robo SWAT. The way the set goes together is interesting as it has various hinges and will stretch and bend for easy play. It's actually quite a complicated build and my 5 year old found it interesting and challenging. Once together it makes total sense, but it uses some nice techniques to make the different parts that go together. 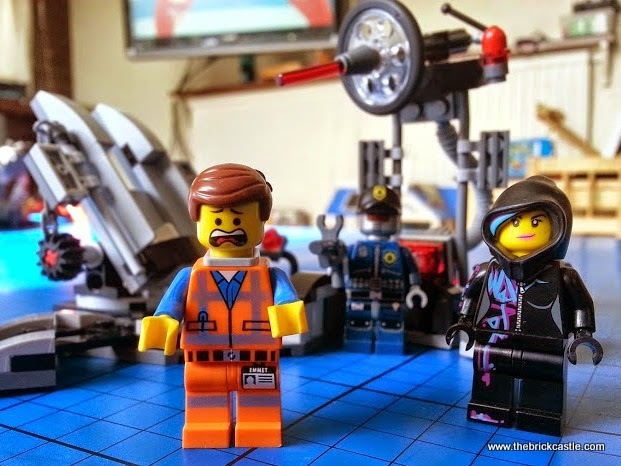 It stretches a younger builder, but shouldn't overly frustrate them. 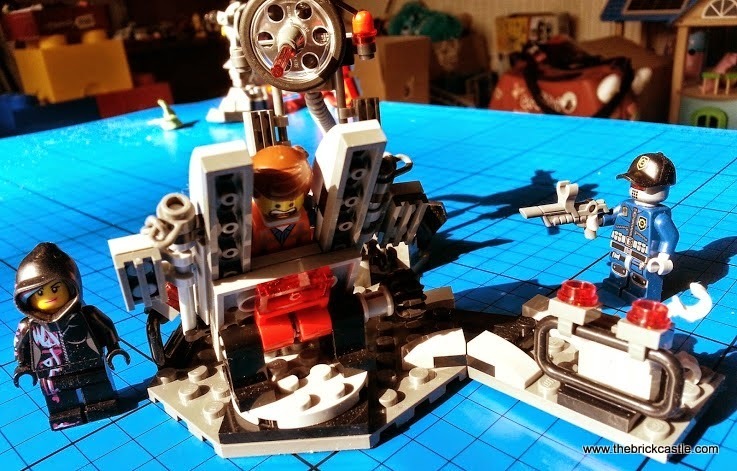 Once completed you have a nice play scene from the movie which moves about for play and has an almost infinitely adjustable laser and a great tilting stand for Emmet to be chained into. 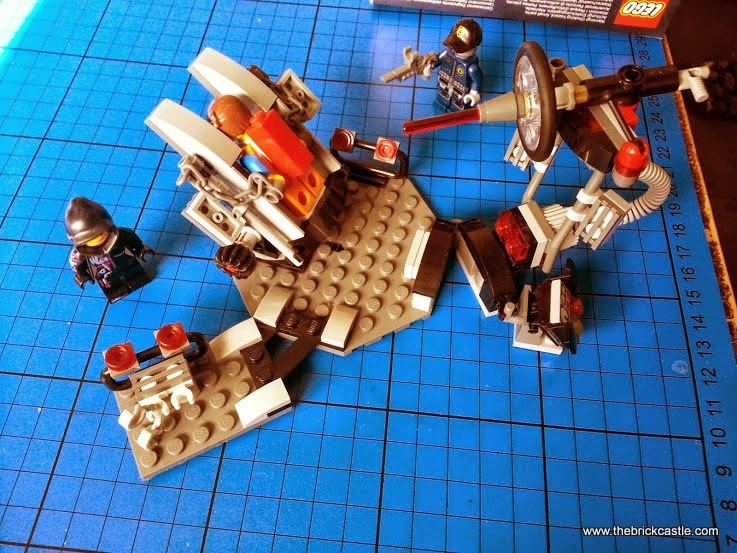 My boys have played with this set a lot and got a great deal of fun from it. 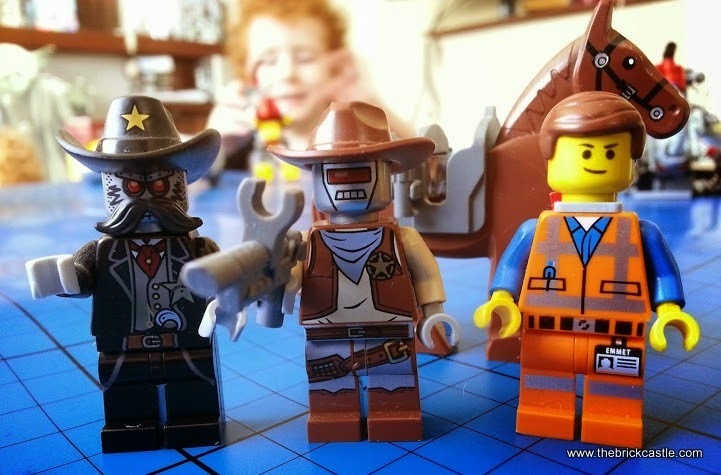 The 3 characters included are really generous and ideal to spark the imagination in any child. It's quite hard to get the chains onto Emmet's hands and it's not entirely a sturdy build, but great for a 6 year old to play with. Excellent value. 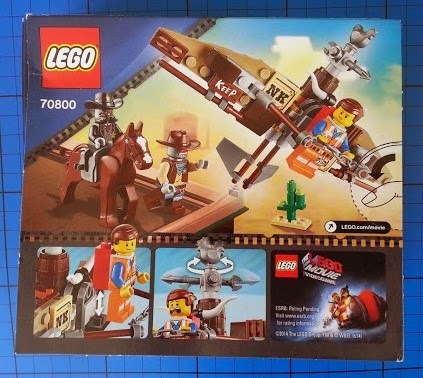 The Getaway Glider (set #70800) is a 104 piece set containing the glider and 3 minifigures - Emmet (with Piece of Resistance), Deputron and Sheriff Not-a-robot with his horse. This is a very pretty set. It doesn't 'do' an awful lot - as a playset it's limited, but it's really beautifully put together. 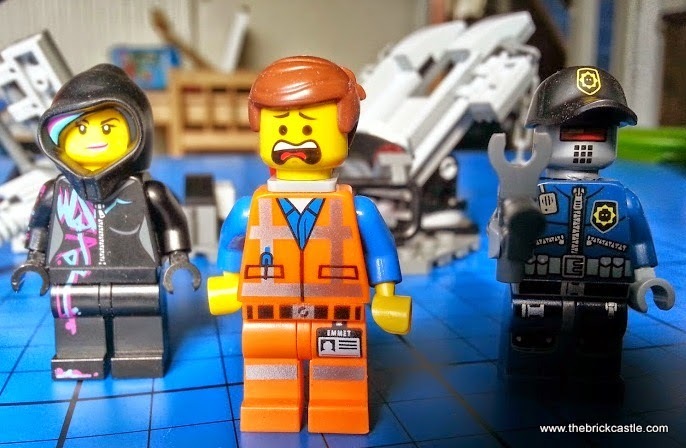 The minifigures are great. This set too has some interesting techniques. 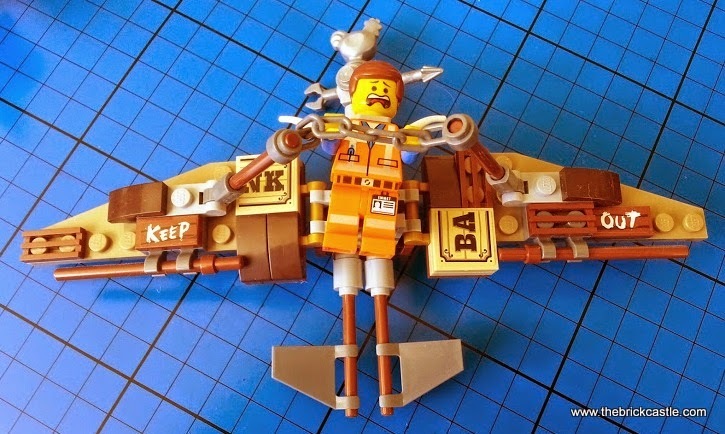 The wings are beautifully made with lots of detail, and designed to move during play, so don't fall off constantly. This set is not as much fun as the Melting Room, but it's an attractive model and nicely done. 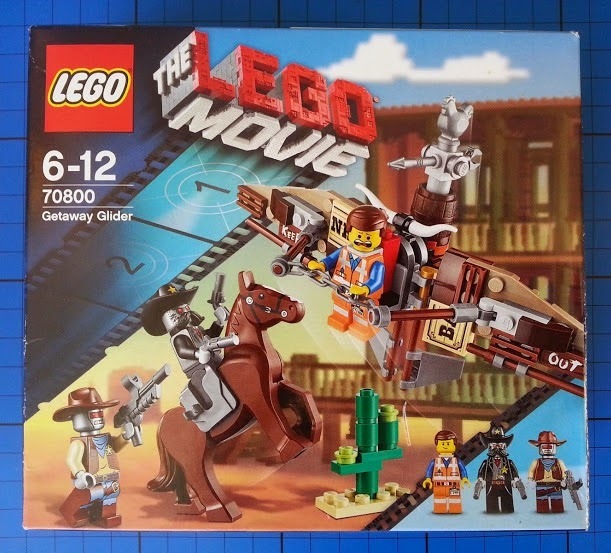 It doesn't really offer a lot of play value alone, but it gives you the Emmett with the Piece Of Resistance, and the Sheriff and Deputy to add to your other LEGO Movie minifigures, and that does add a lot to play value as they're important characters. All in all I think the Getaway Glider set was a little disappointing, but I'd still buy it - and indeed did - as I think it is worth it for the figures. 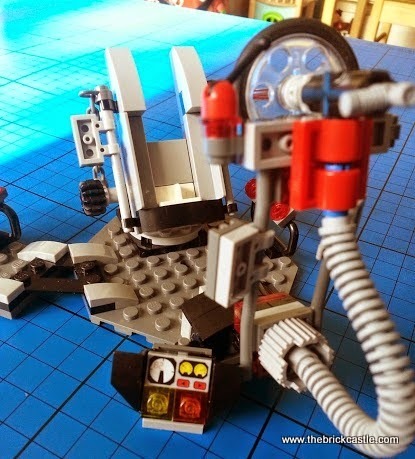 The Melting Room and the Getaway Glider are available from the LEGO shop in person and online. 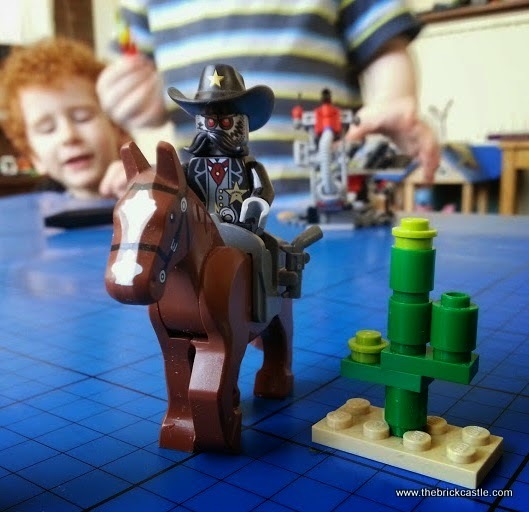 The LEGO website has free games and videos galore to keep your children amused over the Easter holidays, and the LEGO DUPLO 30 second video competition still has 3 weeks left to run! 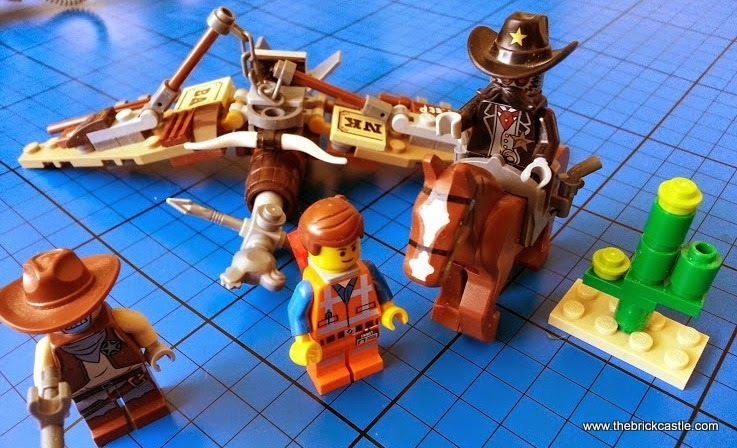 I was sent a Getaway Glider by LEGO to review, but I'd actually already purchased both of these sets myself. this is awesome! love to get one soon!